Take good care of your Porsche and it will take good care of you: That’s a fact. Regardless of what model(s) you drive or own, there’s no doubt that your vehicle has provided an exhilarating sense of joy and excitement out on our beautiful, open Southern California roads. From open-top foothills driving in a Boxster to the sheer responsiveness and sharp handling of a Carrera 911, these machines are incredibly special. Call us biased on the matter (we are), but no other car brand considers pure, gorgeous aesthetics coupled with the driver’s experience more than Porsche. Period. Looking For The Best Porsche Mechanic Team In The Area? We Have You Covered! So, if you’re looking to get the absolute best performance, reliability, and longevity out of your Porsche(s), let us start by saying you’re in the right place! Here at HOUSE Automotive, we take pride in being the best Porsche repair shop in Pasadena and the greater Los Angeles area. 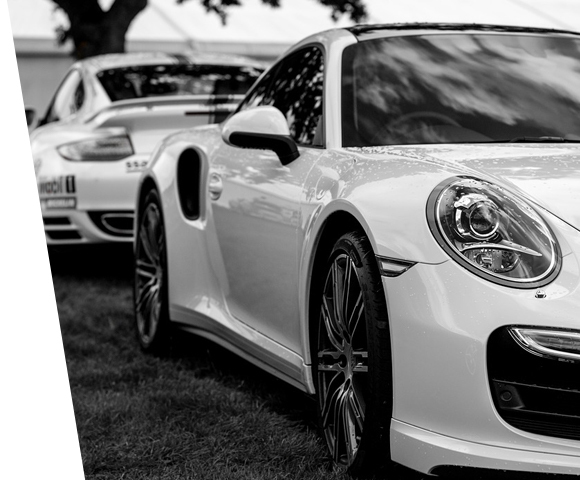 Our independent Porsche service combines the best of both worlds for you and your valued ride: Factory-certified technicians with integrity-driven values without the full-on price of Porsche dealerships. Because we’re an independent Porsche repair shop, we can do things our way, but we still strictly adhere to Porsche’s best practices and latest updates. 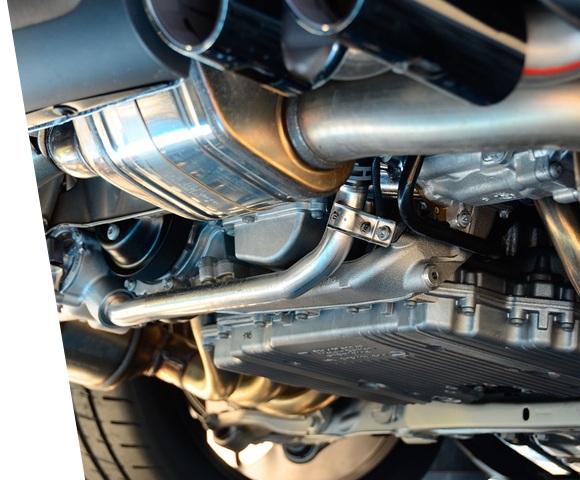 No matter what model Porsche you drive or what’s going on with your vehicle, you can trust the best Porsche mechanic team in the area to take good care of you — guaranteed! Let’s take an in-depth look at some of the many things that any Porsche owner should be doing to get the best performance and longevity out of their German sports car. As always, HOUSE Automotive is here to answer any questions you have about our independent Porsche service. Don’t hesitate to reach out to us today, or feel free to schedule an appointment at your convenience. 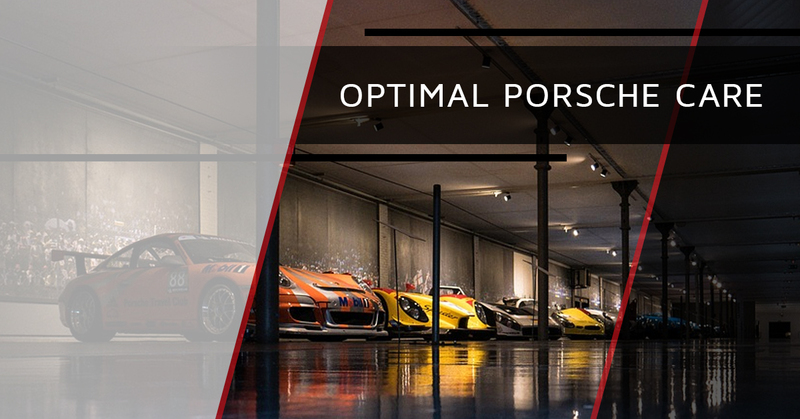 Right off the bat, we want to start with an important maintenance-related point: don’t settle for anything less than genuine, certified Porsche factory maintenance for your ride. Why? Well, for a number of reasons; namely, the idea is that you should be regularly servicing your Porsche in the way that it was intended to be serviced. 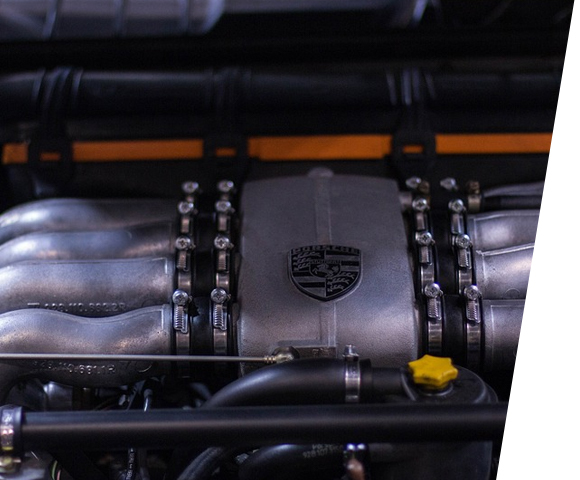 Even though you’re not at an actual Porsche dealership, we are certified independent Porsche technicians who know that we’re doing when it comes to factory maintenance — without the typical dealership upcharges! 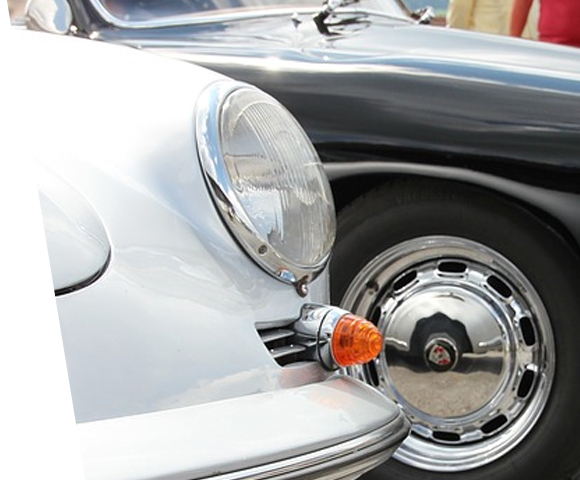 As your Porsche ages, it was designed to follow a specific maintenance schedule as dictated by the manufacturer. 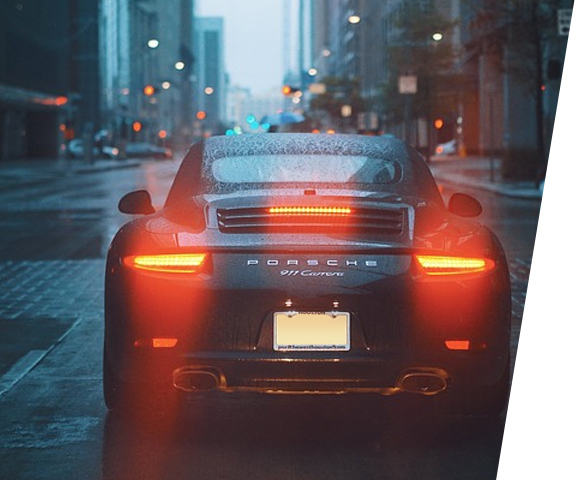 Porsche themselves are the only authoritative voice in the matter, so we take it from them to follow their best practices as closely as possible — no exceptions and no cutting corners! If you take your Carrera, Cayman or other Porsche model into a third-party generalized European repair shop, you’re not doing yourself (or your Porsche) any favors. Why? That’s because, unless you’re paying exorbitant amounts of money, you’re only going to get the bare minimum job completed on your vehicle — nothing more. Sure, whatever issues you’re encountering will probably be fixed, but who knows what else might go wrong? Porsches are extremely fun to drive, high-performance machines, but they also require a great deal of maintenance. As such, you’ll need more than a mechanic who’s only looking at what’s right in front of them. 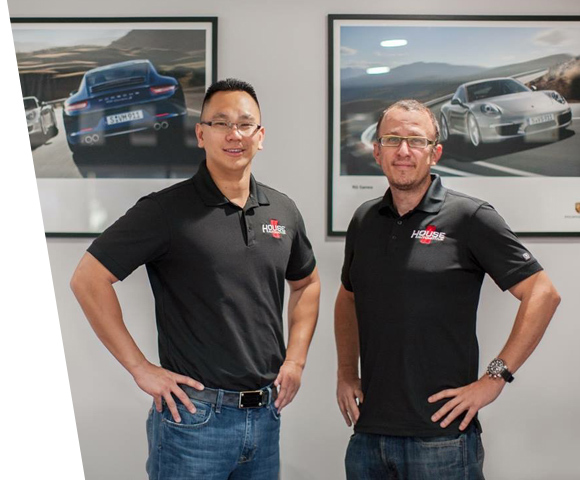 You’ll want the best Porsche mechanic team in Pasadena who has the foresight to identify any potential problems down the road, and take care of these issues before they occur. To us, closely-followed factory maintenance is the best way to practice and exercise preventative maintenance. All things considered, Porsche factory maintenance provides you with the peace of mind that you deserve on the road. High-performance vehicles are hilariously fun to drive based on their adrenaline-inducing acceleration and superior handling, but you’ll also need the stopping power required to safely drive a sports car of this stature. Brake discs and calipers take quite a lot of beating over time from slowing down your Porsche from ridiculously high speeds to moderately high speeds (note: HOUSE Automotive does not condone reckless or dangerous driving). As such, you’ll want to closely monitor the performance of your brake discs and other areas of your brakes, especially if it’s been awhile since they’ve been looked at by a professional. 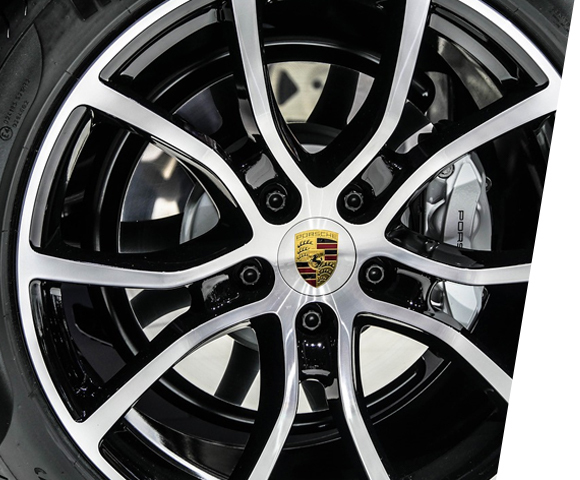 Porsche brake service can be tricky from the perspective of a casual Porsche owner because it is the back surface of the brake disc that gets affected the worst. If the outer surface has corrosion pits that are visible, your braking efficiency (and therefore, your safety when driving at higher than normal speeds) will be greatly reduced. Worse so, if you feel any vibration on your brake pedal or within your vehicle as you brake, for the love of all that is Porsche and German engineering, please, bring it in for our Porsche service experts to fix. A 911 Carrera Turbo is, as any good Porsche enthusiast knows, a very high-performance machine. As such, you’ll need high-performance maintenance for your vehicle that’s…well, high-maintenance. While your soccer mom van or a 100 horsepower econobox might be able to go well past 10,000 miles between oil changes, especially with advances in synthetic oil technology, Porsches — even base models — are different. That means you should be changing your oil every year, or every 10,000 miles whichever comes first. Sure, changing your oil fairly often might be on the pricier side of things but…you own a Porsche, and these relatively high maintenance costs are to be expected. Again, treat your Porche right and it will treat you right. What’s costlier, frequent oil changes or a blown-up engine due to prolonged oil neglect? We’ll let you make the call on that one. Your Porsche will thank you. Our mechanics won’t cringe when we open your hood and see a no-name aftermarket fitted. Best of all, you’ll thank your Porsche because it will stay fast, responsive and well-running thanks to OEM parts. Any Porsche dealership would give you the same advice that our independent Porsche repair shop is giving you — when it’s time to replace any parts in your Porsche, regardless of the model, please only use Porsche Genuine Parts. Why? 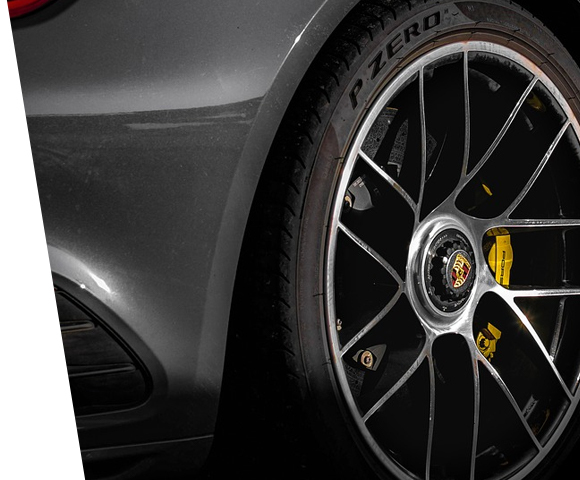 They’re designed (guaranteed, actually) to meet Porsche specifications for optimal performance and longevity. Really, if you’re using anything less than real Porsche parts, you’re not doing you or your ride any favors. That’s coming from an independent shop, again, so you know that Porsche isn’t pushing us to peddle this information. As enthusiasts who genuinely care about the quality of your driving experience day in and day out, this is how we truly feel. To continue sounding like a broken record, Porsche genuine replacement parts are, naturally, approved by Porsche. While you’d think that spending more money on OEM (Original Equipment Manufacturer) parts is less economical than shelling out less money for cheap aftermarket parts, the opposite is true. By using cheap replacement parts that aren’t directly approved by Porsche themselves, you could be facing very, very costly fixes in the future, especially if you drive your Porsche hard (like it’s meant to be driven, let’s be honest). Here’s the thing, did you also know that using Porsche genuine replacement parts also consumes less energy and raw materials than the equivalent new part production? It’s true. Additionally, you’re also getting a standard 2-year warranty (or even longer) for all genuine Porsche parts and replacement parts. Seriously, don’t take any chances with aftermarket parts unless you really know what you’re doing. If you’re an experienced Porsche tech then that’s one thing (why are you here? ), but for anyone else who’s a casual, normal Porsche owner who doesn’t know all of the mechanical ins and outs like the back of their hand, play it safe with genuine Porsche replacement parts. Trust us. How Are Those Tires Looking? Driving at high speeds (again, see our informal disclaimer above) means that your high-performance tires are going to wear down relatively quickly. Do you know what’s going to make those tires wear down even faster? Cornering, drifting and taking turns at high speeds (cough cough, disclaimer) is going to eat through your rubber faster than a marathon finalist tackling a pizza. Is it worth spending lavish amounts of money on new sets of tires? Absolutely! Porsches exist to look great — drop dead gorgeous, really — but they’re almost meant to be driven. So, if you’re gently driving your Cayenne to and from work, closely monitoring your tire situation might not be a big deal, but if you’ve overzealously thrown your 911 into an amateur track circuit, well, keep an eye on those automotive shoes. For optimal fuel economy and a smooth riding experience (we get it, the Porsche brand isn’t necessarily known for either of those points), making sure that your tires are filled to the proper psi is a good idea. Additionally, if your tires are getting rather aged (six years or older), you should consider getting them swapped. Follow this process by sitting inside your interior staring intently at the shifter and steering wheel, contemplating why you’ve been such a neglectful owner. Who could just let their Porsche sit in the garage while the sunny Southern California weather awaits? Hey, do you know that one sketchy alleyway in that one bad neighborhood in Los Angeles? Yeah, don’t park your brand new Carrera 911 S there. Don’t park anything there. In fact, just don’t go there in the first place. Our point is that, with an expensive vehicle, you’ll want to exercise caution about where you’re driving it, and more importantly, where you’re parking it. Sure, even the 911 Carrera GT2 RS (modestly priced starting at $293,200) might not attract as much attention or turn as many heads as a bright red Lamborghini or Ferrari, but that doesn’t change the fact that your sports car is worth a pretty penny. Don’t give heartless car jacks or thieves a chance to steal your ride, or even do as much as key your spoiler. The best Porsche mechanic team in Pasadena will admit, it’s a shame that you just can’t trust people these days. And by “these days,” we mean that it’s been this way for a long time. We’d simply hate to see something awful happen to your precious Porsche because of where you parked it or a street that you took it down. From nefarious potholes to criminals, protect your ride and exercise street smarts (literally) down here in the Los Angeles area. Part of the fun of owning a vehicle that you can truly take pride in is in keeping it clean. From frequent washes to waxes to intense, thought-provoking claybar sessions between you and the paint, keep your Porsche near spotless if you can. Here in Southern California, we’re blessed with incredibly consistent sunny weather, so there’s no snow or anything to worry about. This means that it’s actually worth taking the routine effort to ensure that your baby looks as pristine as possible whether you’re rocking a 1985 944 Turbo or a brand new 718 Cayman. We fellow Porsche owners need to stick together and take pride in our ride. Need a Hand? Visit The Best Porsche Service In Pasadena at HOUSE Automotive! Even the most dedicated Porsche owners need some help from time to time. 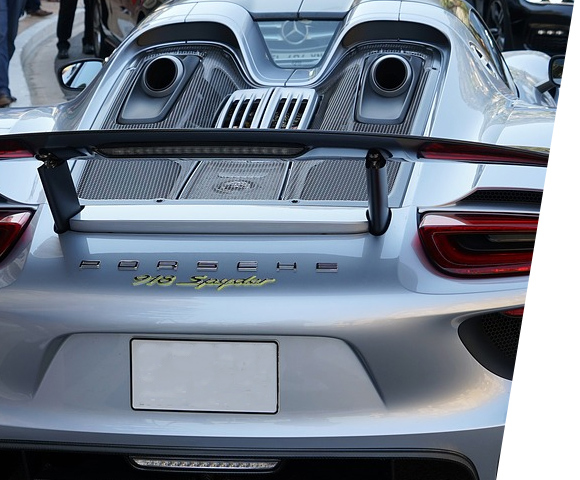 Whether you can’t tackle a fix on your own or you’d like the best Porsche mechanic team in Los Angeles to take care of just about everything for you, HOUSE Automotive can handle it all. 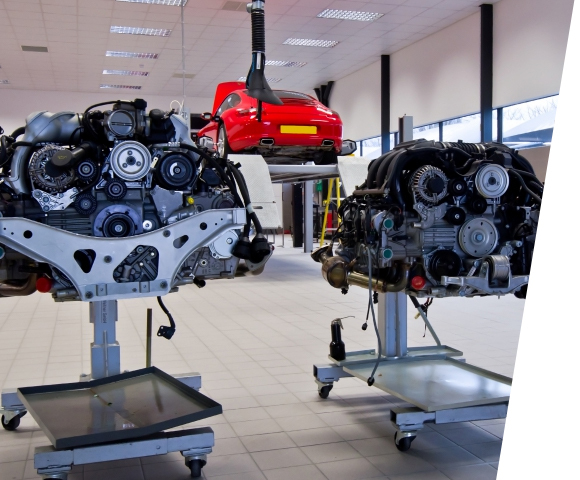 From routine Porsche oil changes to complex flat-six engine fixes, we’re as passionate about your Porsche as you are. Schedule an appointment or get in touch with our Porsche repair shop in Pasadena today!